1-CD with 28-page booklet, 25 tracks, playing time 75:10 minutes. Is the complaint coming or isn't it? The pool of German-language cover versions of international pop hits from the 60s and 70s is huge, but now and then even the most desperate compiler comes up against its limits - to say: This time nix Rolling Stones. . . Especially the attempted blueprints to songs of the (at least earlier) best rock band in the world have so far been very well received by the willing buyers, especially Karel Gotts assassination attempt on the classic Paint It Black on episode 2 (BCD 16554 AH). But: Jagger & Co. always delivered original songs, which - to put it in a nutshell - were perhaps not as suitable for covering as many titles of their eternal opponents from Liverpool. A Get Off Of My Cloud or even Have You Seen Your Mother Baby, Standing In The Shadow were simply too unwieldy for even the most uninhibited German subtexters - and on top of that, the boss's wide sip hatch was mostly full of unsorted lines and sounds, the imitation of which pushed the local singers to their limits. So no Stones, but we are working on it - not seldom (see Karel), hidden as title A 3 or B 5, there are hidden delicacies on LPs. Nevertheless: Even episode 4 of the so brilliantly accepted series is again packed with popular names - on the part of the covered anyway, but also in the ranks of the executive organs. Right at the opening it sets curiosities. Sigi Hoppe, a man from Silesia (year of construction '44), frequent guest at the NDR 'Hafenkonzert' (harbour concert) and with a hit consecration for Ten Cossacks and No Rifle (1967), presents Der Major. And lo and behold: a composition from the pen of the duo Hee/Buchwald, which would be nothing unusual at first. But if you listened to the song even for a short time, you will fall behind on the label with this author's statement. For Snoopy vs. The Red Baron is given in pure culture by the American Royal Guardsmen - textually, however, the adventures of the flying Beagle and his opponent Baron von Richthofen are bent on the coup of the British mail robbers in 1963. Anyway: A clear cover version for every halfway intact ear. Names are known to be news, and this also applies to some of the performers gathered here. Because at least a handful may need clarification. Peggy Peters, née Christina Zalewski, for example. Her Isley Brothers-/Lulu cover had no effect, but as Tina Rainford (Silver Bird, 1976) and as a member of the Sweetles next to Charlotte Marian and Monika Grimm (I wish me a Beatle for my birthday, 1964) she sniffed hit air. Which she then failed to do with the Petras on Polydor. Brothers here, brothers there, and both times no real ones: The Continental Brothers tried their hand at the mighty anthem You've Lost That Lovin' Feelin' (Righteous Brothers), a duo of limited durability. As soloists they were successful, as partners less: Drafi Deutscher and Mal Sondock. In the early seventies they belonged to the regular cast of the still undervalued singing community Love Generation: the Danish Birgit Laury as well as Gitta Walther and Linda Übelherr. With changing Anglo-American lead singers such as Don Adams and Timothy Touchton, the choir prepared the ground for the Les Humphries Singers. The pure women's trio Cornflakes was not allowed to register in the German hit lists. The same goes for Mon Thys. Behind this rather unusual pseudonym (supposedly based on the name of the well-known Ariola man Monti Lüftner) was one who had not only made a good name for himself as a lyricist: Gerd Müller-Schwancke from Hamburg, formerly a founding member of the Kiel band Die Anderen alongside Jürgen Drews, Bernd Scheffler and Enrico Lombardi. In 1966 Ray Textor & The Strangers recorded the Simon & Garfunkel hit Sounds Of Silence in German; not really the stylistic terrain on which the brothers Elmar, Ehrhard and Rainer Marz as well as Jürgen Zöller and Richard Ungerath otherwise moved. For contractual reasons Rainer became 'Ray', and 'Textor' was the name of the street where the band lived at that time. Real name of the band: The King-Beats, who are represented with their own CD at Bear Family (BCD 16473 AR). Cover versions of Small Faces titles are somewhat rare. Udo Arndt & the Safebreakers got to Hey, Girl - a beat combo of the sixties from Berlin. Her pre-singer and guitarist was later active in Kraut bands like Os Mundi and Tequila Sunrise. Arndt then advanced to become one of the most sought-after German producers, bringing works by Nena, Nina Hagen, Morgenrot, Münchener Freiheit and Ian Cussick onto the rails. More than a dozen solo singles for Electrola and Columbia released, with Wenn du gehst, dann hoff' ich auf ein Wiederseh'n in summer 1963 even a hit landed - nevertheless the name Hanna Dölitsch, who also as Vera Bruck recorded records for Polydor, is probably only familiar to insiders. Born in Wittenberg as Hanna Döltzsch, she entered the music business via Peter Frankenfeldt's TV programme 'Toi, toi, toi'. Her participation as a singer in the Botho Lucas Choir and the Musikantenquartett paved her further career path. That the probably first anti-nuclear song, composed by Malvina Reynolds and a highlight in the Searchers repertoire, mutated into colourful orchids of all things - the interpreter herself was certainly least able to do that. Also not often that a German singer covers the English song of a local band again in German language. Hajo from Hamburg made it. I Will Always Stay Your Friend (the B-side of the hit Cauliflower) is probably one of the most intense tracks the Rattles have ever recorded. Her ex-member Hans-Joachim Kreutzfeldt took over the composition of Herbert Hildebrandt and Frank Dostal and published it as the B-side of his first solo single Komm mit mir. Despite several releases on Vogue, Philips and Stellina - the Blackberries remained in the 2nd Popularity League during their active time. They were never more than a band of many from the Dunstkreis Munich during the heyday of German beat and pop. Jürgen (also: Hans-Jürgen) Wenger shares the artistic fate of various German singers from the 60s: tried a thousand times, nothing happened a thousand times. He dared several times to cover versions, among others stylistically very different songs by Casey Jones & The Governors (Don't Ha Ha; to be heard on episode 3, BCD 16555 AH), Wayne Fontana & The Mindbenders (included here) or by Nebelhorn Mitch Ryder & The Detroit Wheels (Jenny Take A Ride) - unfortunately, no countable songs came out. His recordings, whether as a soloist or singer of various (pseudonym) bands, fill entire record cabinets. Former Tonics boss Tony alias Manfred Oberdörffer often favored cover versions of successful chart hits, such as Sir Douglas Quintet. In 1968, Callow-la-vita, on the other hand, was a clearer in English for the Dave Clark Five - under the title Red Balloon. The more successful, atmospheric UK original by Raymond Froggatt flopped as Callow-la-vita at the cash desk. In 1971, Tony's girl with red hair at least pushed herself to 21st place on the German hit lists. That cover versions of titles from John Fogerty's pen seemed promising - no wonder, measured by the gigantic and deserved triumph of the originals by Creedence Clearwater Revival. But the fact that German texts for a total of 48 (!) CCR tracks were written, published and reported, stocking and expectant, was probably too much of a good thing. Hey Tonight by Tony (see above) might still be halfway known, maybe also the integrated Wie schön ist diese Welt (= Bad Moon Rising ) by Dutchman Andy Star. However, even they did not succeed in hitting the target. And so, if our researchers aren't completely wrong here, hocus-pocus (= bootleg ), love is a magic word (= Lodi ), with the head through the wall (= Run Through The Jungle ), high the love (= Keep On Chooglin' ), It appeared out of space (= It Came Out Of The Sky ) and all the other delicacies were dusty and unprocessed. When in the middle of the sixties folk rock and 'protest' songs sloshed across the big water into the Old World, singers stood at their feet with the instrument to Germanize titles by Bob Dylan, the Byrds, P. F. Sloan, the early Turtles etc.. Although the duo Christopher & Michael remained behind the City Preachers in terms of popularity, their works are all the more in demand today as examples of committed efforts that fell on little fertile ground at the time ("Die soll'n doch nach drüben gehen..."). 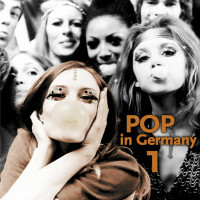 Besides these - partly less known - performers (with the Hully Gully Girls, Gerhard Dlugi, Kathi Reschke and with Milan, Paul & Ela every encyclopedia fails) we also tapped the first set of the pop stars from the 60s and 70s for episode 4 of 'Pop In Germany': Heidi Brühl, Nina & Mike, Randolph Rose, Bernd Clüver, Tina York, Jack White alias Horst Nußbaum: all deserving fighters who have earned hit merits over the years - although not with the rare specialties gathered here, many of which are available for the first time on CD. Nevertheless, they all felt much, much better than the shaken, singing narrator from the German version of the John D. Loudermilk classic Tobacco Road, reluctantly and under protest recorded by the Berlin Lords. It was up to the 'Lord Ulli', who was so tragically killed in an accident in 1999, to present the short, shameless, ingenious Depri text by Peter Moesser (Morgen): "I was poor and often alone, nobody invited me to dinner ... little sun, little bread, here in our Tobacco Road." "Various - Pop in Germany"
When delusional things mutate into a dog of Baskerville, a yellow river turns into strange eyes and a beautiful daydream turns into a harsh order Put your bed on the street - when all such confusion happens to you, it is worth a German hit. Whether rock'n' roll, surf or twist - the German record companies always had an ear for music fans during the 60s and 70s who did not know English. And understandably a second, in order to be able to better supervise the hoped for additional strumming in the cash. Plain language: Whenever popular hits from the USA or the United Kingdom reached local coasts, potential buyers should also understand what was sung there. The procedure worked: As soon as promising titles climbed up the American or British hit lists, word-proven lyricists between Flensburg and Garmisch were already sharpening their styles, German-speaking interpreters were oiling their vocal chords. Their common mission: Get to the originals, make cover versions! What came out of it can already be heard - sorted by genre - on CDs:'Surf In Germany' (Bear Family Records BCD 16211) has in the past dedicated itself to musical surfers,'Twist In Germany' (BCD 16186) to hip-waggers at risk of tearing - with a total of 45 sounding diaphragm attacks. That's when an Abigail Beecher became loose The hit Mausi Müller, from She Rides With Me Just No alibi or from Twist Everybody the diet decree Twist is good for the line. But all this was only a light - albeit already wonderfully curious - preliminary skirmish at the beginning of the Golden Sixties, in the so-called Pre-Beat(les) era. The full broadside, however, was yet to come. Bob Dylan and the Rolling Stones, the Fab Four and Manfred Mann, the Moody Blues, Creedence Clearwater Revival, Simon & Garfunkel and countless others - they were all yet to come to get their Germanic blueprints. Protest songs and 4/4 beat were doctored, entertainment pop and flower power. And at the turn of the decade in the 70s, paranoid even caught one of the ultimate UK hard rock hammers, who would have been more suitable for it? Cindy & Bert pre-buttoned. 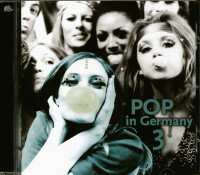 Pop in Germany' makes it possible and at the same time fulfils fan wishes that have been expressed for a long time. The "converted originals" brought to light from the archives are - alongside special individual interpreters and entire labels - among the most sought-after (vinyl) objects of desire on the local collector scene. For the rare dog from Baskerville, for example, three-digit DM amounts are now regularly demanded - and also printed. Customer evaluation for "Pop in Germany Vol.4"